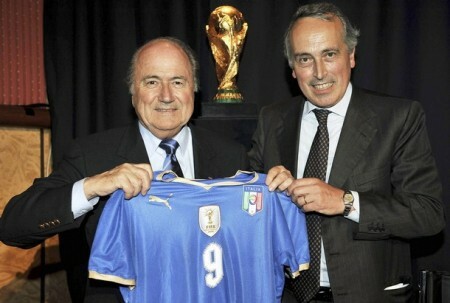 Ladies & gentlemen, the “We just won the World Cup” logo is born. 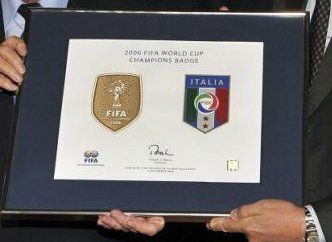 For the first time in football history, a national side will be able to display a logo (a world cup on a white background, with the words “FIFA World Champions”) on their shirts to reflect they are the current title holders. 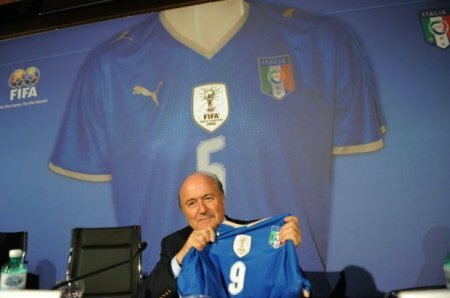 And Italy will be the first nation to proudly wear it. 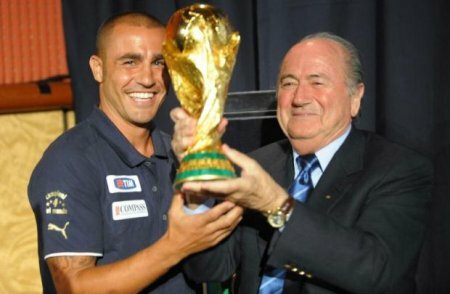 After which Blatter (who on the night of the Berlin final had left his place to UEFA president Lennart Johansson), stood up embarassed, walked towards Cannavaro and handed the World Cup over to the Italian captain: “It’s never too late to do well“, he said later. 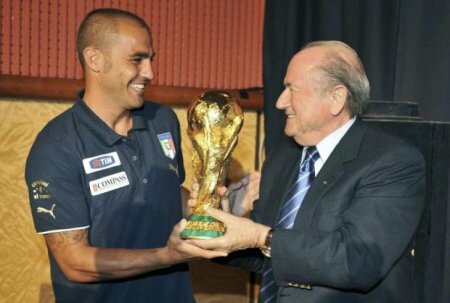 This entry was posted on Tuesday, September 2nd, 2008 at 10:08 pm	and is filed under Azzurri, World Cup 2010. You can follow any responses to this entry through the RSS 2.0 feed. Both comments and pings are currently closed. 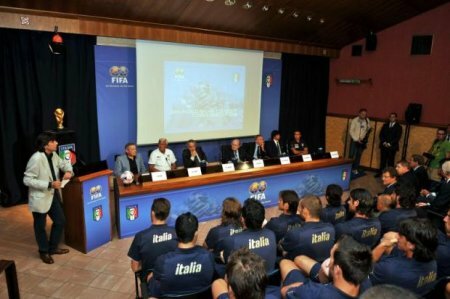 5 Referees for Soccer Matches… the Way of the Future? Looks beautiful only now it especially highlights the fact that the numbers are bizarrely crooked, not a big fan of the 1980s-video-game-style font either. Never liked those numbers either. 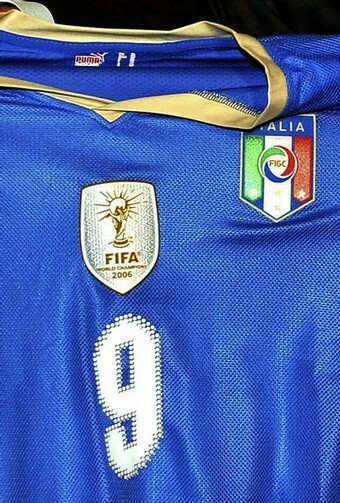 Bring back the WC 2006 shirt!!! !